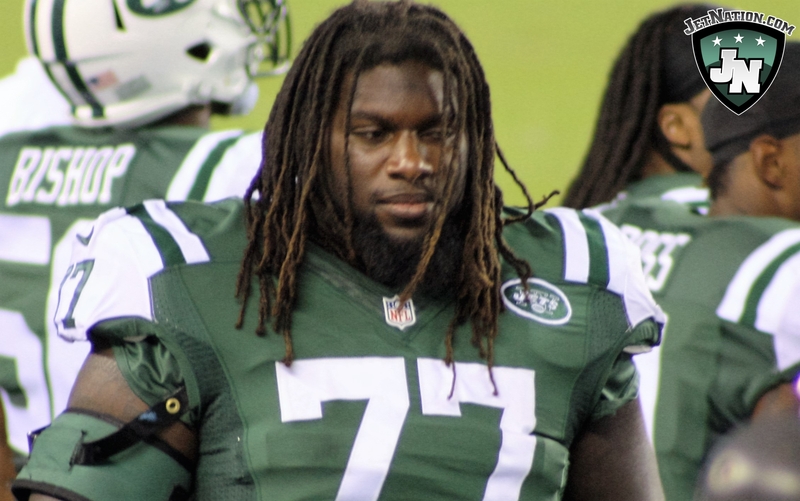 Home Featured Editorials Ground and Pound or Slinging Sammy; Will Jets Scheme Suit Personnel? Ground and Pound or Slinging Sammy; Will Jets Scheme Suit Personnel? With the start of the NFL season just a few weeks away, the New York Jets are preparing to take on the co-tenant New York Giants at MetLife Stadium in the annual week three preseason meeting between the two teams. 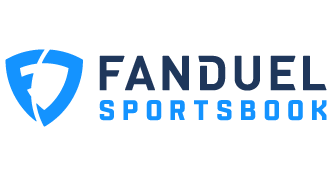 With rookie quarterback Sam Darnold expected to be under center, it looks as if the Jets will be looking for a reason not to start Darnold on September 10th in Detroit. The rookie signal caller has done everything the team has asked of him while earning glowing reviews across the board from his coaches along with local and national media, while Jets fans sit and wonder if they’ve finally got their franchise quarterback. 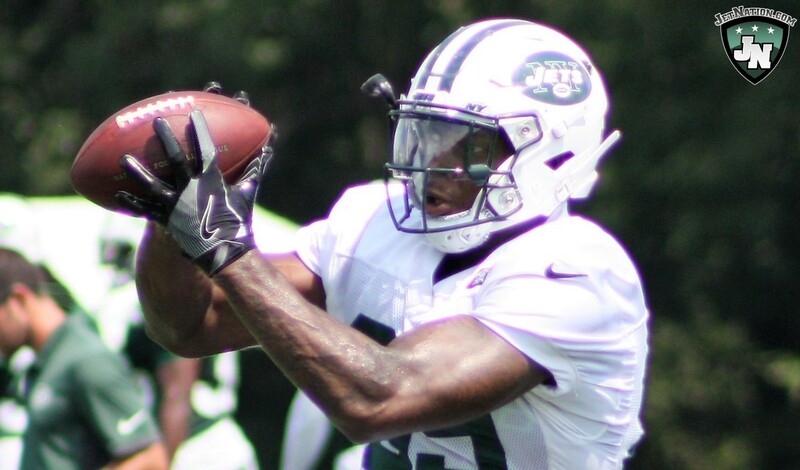 Rookie tight end Chris Herndon could benefit from a deep Jets receiving corps. 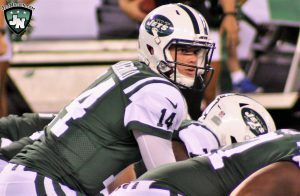 Even if it’s not week 1 (it will be), Darnold is going to take the reins at some point this season, and at that point, it will be up to offensive coordinator Jeremy Bates to decide what type of approach to take with the young rookie. Will it be a heavy dose of Isaiah Crowell, Bilal Powell and either Eli McGuire or Trenton Cannon? Or will we see Darnold drop back more often than not, being asked to read defenses and let it rip to one of his many capable receivers? In looking at what transpired with former offensive coordinator John Morton, one would expect a ground and pound approach as Morton was reportedly fired by head coach Todd Bowles for refusing to go to a more run-heavy scheme. However, in looking at the Jets offensive personnel, an aerial attack would seem to be the more logical approach given the Jets depth at the receiver position. After all, how many secondaries can legitimately match up against four or five quality receiving options? With Robby Anderson, Jermaine Kearse, Quincy Enunwa and Terrelle Pryor in the huddle, any fifth option, be it a tight end or a fifth wideout, there should be plenty of room to operate underneath. 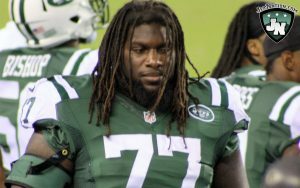 While the fallacy of the Jets having one of the worst offensive lines in the NFL has permeated Jets twitter and message boards around the internet, here are some facts that dispute the hysteria and show that while they are far from great, the Jets offensive line, when healthy, should be just fine. At left tackle, Kelvin Beachum does a good enough job as a pass blocker that you don’t have to worry about him the way you would with Ryan Clady or Brett Qvale, nor can you count on him like D’Brickashaw Ferguson or a young Jumbo Elliott. He’s an average to above-average pass blocker who will give up the occasional sack, but should be fine protecting Darnold’s blind side. This showed up on film last year and a couple of seasons ago in Pittsburgh before Beachum suffered an ACL tear. A strong bounce back season from James Carpenter would be huge for Gang Green. Left guard is the biggest question mark along the offensive line with James Carpenter lining up for the fourth consecutive season. Years 1 and 2 were very good for Carpenter as he looked to be solidifying himself as a rock on the O-line. In 2017, it all fell apart as he was a major liability. Playing next to the league’s worst center in Wesley Johnson surely didn’t help, but Carpenter shouldn’t get a free pass for his performance. One of the more encouraging developments through just two preseason games is that Carpenter is the team’s top rated pass blocker according to pro football focus with an impressive 84.6. Over the past five seasons, Carpenter has earned a grade of 69 (average starter) or higher from PFF as a pass blocker, but has met or surpassed that number just once as a run blocker. In the middle of it all, there’ Spencer Long who has graded out significantly higher in pass protection, a strength we pointed out earlier this year. Long was rated as the league’s 16th best pass blocking center in 2017. On film and again in training camp this season, Long looked to have the uncanny ability to recover as a pass blocker after initially being moved off of his spot. He’s not Nick Mangold or Kevin Mawae, but he’s a good player in a spot where there was previously a gaping hole. On the right side, Brian Winters is expected back at right guard, but it would appear his health may be a concern again after playing most of last season with a torn abdominal muscle. Like Long, Carpenter and Beachum, Winters has historically been stronger as a pass blocker than a run blocker. Brandon Shell rounds out the right side of the line as a developing player who needs to be more consistent. But one thing we’ve seen is that his pass blocking has been better than his run blocking by a wide margin, and he looks to be making progress as a run blocker. Be it a pass oriented or run heavy offense, the Jets appear confident that Sam Darnold can handle what’s on his plate. With all reports out of camp and the results in preseason showing that Darnold is a quick study, combined with his depth at receiver and an offensive line whose strength is pass blocking, the thought of a pass happy attack should be enticing, but that may not be the case if the goal is to throw it back to the Rex Ryan era with a heavy dose of multiple running backs.